Gilbert Sanchez, a 47-year-old man from La Paz, in the Agusan del Sur province of the Philippines, had last felt solid ground under his feet in 2014, before climbing a 60-foot-tall coconut tree near his house. 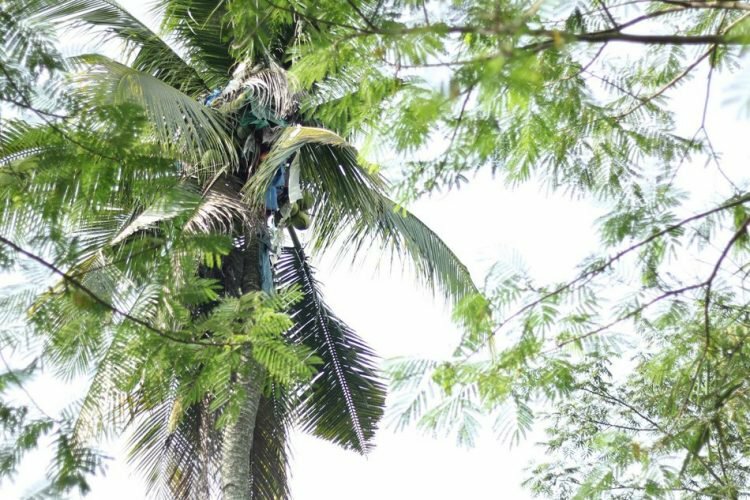 According to Oddity Central, he had never come down since, and would have probably stayed atop the tree till the end of his days, had authorities not rescued him by force recently.The man had apparently left his home to live atop a nearby coconut tree three years ago, after being hit on the head with a gun, during an altercation. A man shocked the world with his weird decision to leave the comfort of his home and live on top a really tall coconut tree for three long years. His mother remembers that he was so afraid that someone would come to kill him that he felt that the only way to stay alive was to climb the tallest tree he could find and stay there. And that’s exactly what he had been doing for the last three years, surviving only on the food and water his mother brought him every day, which he would pull up in his tree haven with an improvised rope. He would relieve himself from the top of the tree, and not even the raging storms, the blistering heat or the ruthless insects could get him to come down. Winifreda Sanchez, Gilbert’s mother, had been trying to convince him to come down from the tree at least to get a bath, but he always refused. All she could do for him was deliver food, water, clothes and cigarettes to him every day, hoping that they would at least keep him alive. She would shout to him to lower his rope, tie the supplies tightly, and he would hoist them up to his tree-top haven.Aldrin Sanchez, Gilbert’s brother, said that both he and the other members of their family had been constantly pleading with him to come down, but he just waved them away. Gilbert’s tragic story made quite an impact on Filipino social media, with many users asking how they could help him and his mother get their lives back on track. A bank account in Winifreda Sanchez’s name was set up so people could donate whatever they could to their cause.